Discussions Magazine Music Blog: An EXCLUSIVE Interview With METAL CHURCH! 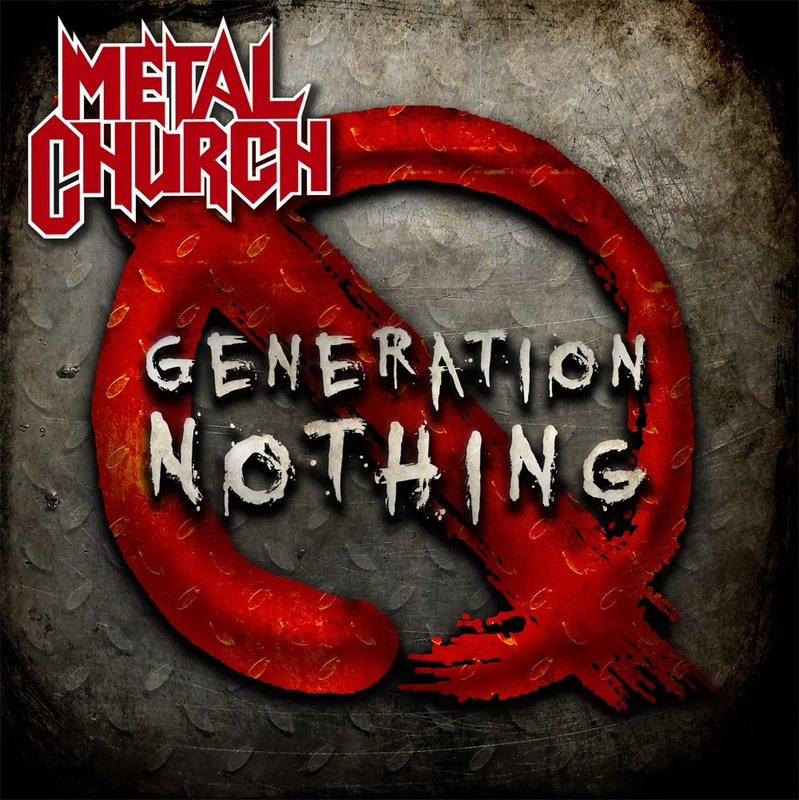 An EXCLUSIVE Interview With METAL CHURCH! Guitarist Kurdt Vanderhoof formed the band Shrapnel in 1980 while he was based in San Francisco. The following year, he moved back to his hometown of Aberdeen, Washington and put together a new version of the band. By 1983, they had finally solidified their line-up, changed their name to Metal Church and were off and running. The following year, they independently released their debut album, which sold in excess of 70,000 copies. At the insistence of Metallica members Lars Ulrich and James Hetfield, Elektra signed the band and reissued the album in 1985. Metal Church released their sophomore album, The Dark, in 1986, which proved to be a great success thanks to MTV and high-profile tours with bands like Metallica. Unfortunately, the next few decades were filled with constant personnel changes, a few break-ups (and reunions) and other situations that derailed the band’s momentum. But Metal Church kept the faith and just when you least expect it, they have come back stronger than ever! 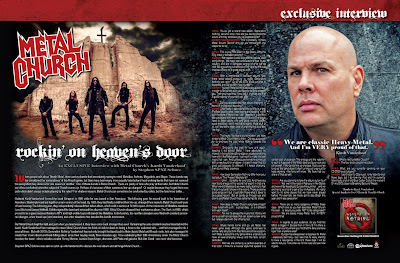 Remaining the sole constant creative force behind the band, Kurdt Vanderhoof has managed to steer Metal Church from the brink of oblivion back to being a force to be reckoned with… and he’s managed to do it several times. But with 2013’s Generation Nothing, Vanderhoof has not only brought the band back to their classic Metal and Thrash roots, he’s also managed to create their most vibrant and hard-hitting album since their heyday nearly three decades ago. Now celebrating their 30th Anniversary under the Metal Church moniker, the band - which includes vocalist Ronny Munroe, bassist Steve Unger, drummer Jeff Plate and guitarist Rick Van Zandt - are more vital than ever. SPAZ: You’ve got a brand new album, Generation Nothing, about to drop. How are you feeling about the album and they feedback you’ve received so far? 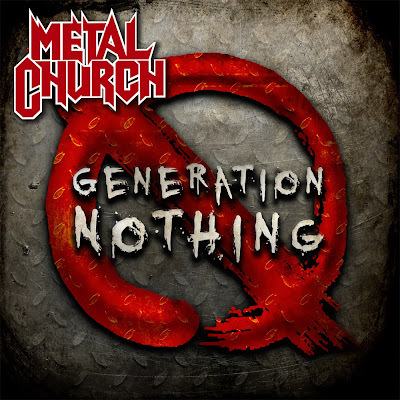 KURDT VANDERHOOF: This is probably my fave Metal Church record. And we are thrilled with the response so far. SPAZ: This is your first album in five years. Why the long break in between albums? KURDT: We needed to stop and rethink how we were doing things. We have now embraced the new music industry and are in complete control of what we do now. We are putting out records on my label so this has inspired us and it’s a great way to work. SPAZ: With a long break in between albums, was there extra added pressure to make Generation Nothing ‘just right’? Or do you try to block out what is expected and just go with how you feel? KURDT: You can’t help but think about it to a point but, in order to do honest work you have to do what pleases you. Then you hope that if you like it, chances are that a good majority of your fans will also. SPAZ: Did you approach the new album differently in terms of writing and recording? KURDT: Not really. I approached the writing in a way that was exactly what I was feeling and keeping in line with the style of Metal that I like. I wanted it to be very old school and still have a sense of maturity. The songs have to have catchy riffs and good melodic catchy vocal melodies. I don’t like that ‘screamo’ Metal stuff at all, so I wanted to steer clear of anything that sounded like that. SPAZ: The tracks I’ve heard sound modern, yet have an early Metal Church feel to them. Did you purposely try to embrace the past while looking towards the future? KURDT: Embracing the past for sure and again, keeping it old school Metal. I have absolutely no interest in trying to be cutting edge or create something new within the Metal genre. I just want to make the best music that I can. And just because someone comes up with a new sound or whatever, it doesn’t mean that it’s good just because it’s different. If it keeps changing, then it’s not Metal anymore. SPAZ: How does Generation Nothing differ from your last album This Present Wasteland? KURDT: Umm... it’s better for one! LOL And there is a new found energy in this record that wasn’t in that one. When we did Wasteland we were really starting to feel the burn out and it shows in the record. There are some good songs on it but, it just didn’t have what it takes to be a great record. But all bands go through ups and downs and Metal Church has certainly had its share. SPAZ: How does a Metal Church song take shape? Does it start with a riff… a lyrical idea… or is it different with each track? KURDT: For me it’s always the music first. Ronny will come up with lyrical ideas that can spawn a new song but I always start with the riff/song first. KURDT: Well we are certainly a perfect example of that! LOL! I think it’s a musical style that speaks to a certain part of a person. The energy and the rebellion is such a huge part of the Metal ideal and pure rock and roll as well. If the bands line up changes, that’s cool as long as the band doesn’t start turning out crap just to keep working - the fans will know. We have had our share of that as well. SPAZ: Are you planning to take the album out on tour? KURDT: Yep, we hit the road in February in the States and we will be heading to Europe this summer…and we are trying very hard to get a tour in Australia. We really want to hit some places that we have never played before. For example, we finally got to play Brazil this year and it was awesome! SPAZ: There are so many subgenre of Metal these days. Which one do you feel describes Metal Church the best… or would you prefer NOT to be categorized? KURDT: We are classic Heavy Metal. And I’m VERY proud of that. SPAZ: In regards to your audience, do you find that Metal is bigger in Europe than in the U.S.? Is there a particular country where you find that the fans are more loyal than anywhere else? KURDT: Europe has always been a big place for Metal - especially Germany - but I see that it’s really starting to have a resurgence in the U.S. these days. I will be able to tell you more after we hit the road and see how it goes. SPAZ: What’s next for Metal Church? SPAZ: What are you currently spinning on your CD/DVD/record players? KURDT: I don’t listen to CDs much. I only listen to vinyl these days, but I do love my iPod and I’m currently listening to a lot of old Blue Oyster Cult at the moment. On my DVD player is Breaking Bad and Weeds.